Since what year you are in opposition? The Gorbachev’s period had a chance in the republics of the Soviet Union to become independent. Also, transparency, freedom of speech has awakened civil activity. The result of this activity have become popular movement “Birlik”, later the Democratic Party “Erk”. We would all like to see one or the independent state of Uzbekistan, the Uzbek people independent. 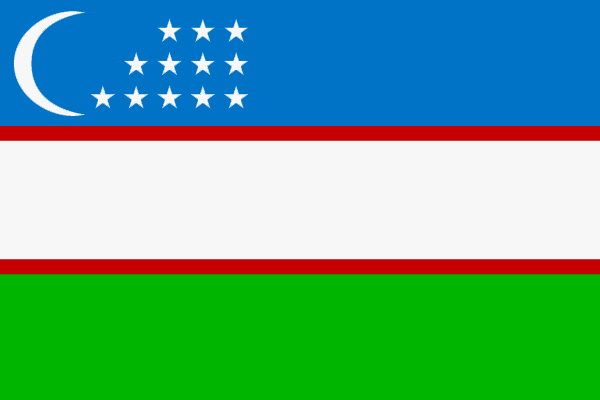 Uzbekistan became an independent state. The Uzbek language has the status of a state language. Its flag, border, its own anthem. It seemed age-old dream come true, it seemed that more desire. Then I did not feel the opposition. I thought that independence is the most important thing. I did not know that independence is not a guarantee of freedom and democracy. When did persecution and repression against those who disagree with the policy of Karimov, I, and many others understood: we are against this regime. What caused you to become a member of the opposition? As the Uzbek regime has influenced your life? All 3 of my brothers took off from work. They all took a rather high positions. One brother destroyed all business. One of them was accused by mistake. All three brothers for many years were unemployed. I have included in the list of “non-print”. Already since 1992, for me, all the media are closed. 1995 tried on false accusement- me accused in preparation to force revolution. A few years later, I accidentally found out that I have one more record. This time I tried for an assassination attempt on the life of man. I still do not know where I was tried, who was a judge, if I had a lawyer, if it was someone. And finally, who I was going to kill him. Her husband, too, was dismissed from work. And he, too, for many years could not find a job. Convictions also affected the lives of my children, their career is closed for ever. All the problems related to my work one way or another affected all of my relatives and friends. Now I cannot show off activity. I try to be useful to activists, helping any way I can. Helping lawyers, help politics. Often we meet with political prisoners, I try to be aware of their health in prison. What do you expect in the near future from the activities of opposition groups in Uzbekistan? From vocally oppose organizations in the nearest time should not expect much. All of them were up to now are under strong pressure from the government. Most members of these organizations are in prison, many were forced to leave country. Now is not possible to create perfect structure. For political parties and movements it is very important to have the primary organization on sites. Primary organizations, rather than the central office, are the engine of all the activities of a political party. Today people who work create a structure complicates the fear of people. People are afraid of losing their jobs, fear that the political activity or membership in any oppositional organizations get on them the wrath of the authorities. Unfortunately, they are right, the slightest activity will be interrupted.People who is not afraid of very little, so small that they can cope not affect the course of development of the organization. Important role of passivity or opposition groups say is a lack of understanding between the leaders and prominent members of organization. If things continue will be so, and if all the opposition groups in the face of their leaders cannot agree, do not create plan of action to counter the current regime, then by the Uzbek opposition will remain only on the site and page by Facebook. Do not unimportant role in non-development of the Uzbek opposition is finances. Uzbekistanian opposition in my opinion is the “impoverished” world. Absence of money practically nullifies all the efforts of ordinary members of organization. Ne having no office, no transport, org technology, despite the great desire rebuilt structure of party or movement, little can be done. I am far from thinking that all bear the opposition office, vehicle, office equipment, and more for normal operation, then once everything is “Okay”. For yet not for the fact that the opposition was strong, powerful need to come to a common denominator: we are against the regime or, or we are against each other. Are you a member of a political organization? Now I am an ordinary member of the LP “Birdamlik”. Why did you decide to create a Kuma Kmarkaze and what to expect in the future? “Kumak Markazi” can probably be translated as “Support Center”. As I said above Uzbek opposition, and in general all the activists of the civil The Society is very experienced after a hard times. The position of the opposition was always after a hard. But the situation was aggravated after the Andijan events. The world Minh, but the attitude to us is changing. Although opposition always conducted its activities openly, without offense, we have to considered enemies of the state. This label hangs on us for more than 20-years. This is not just a label, and the label that carries with it a lot of trouble. Because of this, we have tried and judged by false charges planted, add time and, deprived of work, in short doing everything to us was not up to politicians and not to human rights. Frankly, there are among us who cannot pay the monthly fee for the phone. But these people have suffered only because of the fact that they would like to see the Uzbekistan legal, democratic state. Today they are sick, and no deal is not up to them. The purpose of the “Kumak Markazi” is to draw attention to the state Uzbek opposition and to the extent possible for their financial support. They need some help, they deserve attention and care. What will be the result of the organization? From “Kumak Markazi” I expect at least to draw attention to the state of the Uzbek opposition.